The Iowa Makes Music Arts Leader Program provides high school age classical musicians with intensive arts leadership training and one-on-one mentoring that empowers students to develop and lead their own arts leadership project in their home communities. 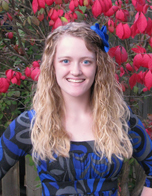 Emma Azelborn 16, of Cedar Rapids, is a junior at Washington High School and plays the piano, flute, and sings. She’ll combine her skills in music making and film production to create a public service announcement for an organization working to rehabilitate downtown Cedar Rapids from the devastating flood of 2008. David Bernat, 14, of Iowa City, is a freshman at Iowa City West High School and plays violin and piano. He’s helped with concerts and recitals at the University of Iowa hospital, which inspired him to participate in this program. Through his project work with Jonathan, Riko, and Ivan, David hopes to gain a stronger sense of community. Kyle Burke, 17, of Toddville, is a junior at Kennedy High School and plays piano and cello. He has lots of community service experience including Key Club, volunteering with Sierra Club, and organizing a bone marrow drive with over 70 participants, an experience that deeply impacted Kyle and showed him that people are willing to help strangers. Sara Doermann, 16, of Mechanicsville, is a junior at North Cedar High School and plays the clarinet, tenor saxophone, and flute. She’s an active volunteer and aspires to revive old-fashioned barn dances to bring multiple communities and generations together. Monica Gagne, 14, of Johnston, is a 9th grader at Johnston Middle School and plays violin and sings. Monica believes it’s important to explore many forms of communication when reaching out to the community. Monica and Bailey will coordinate music and dance groups in a fundraising concert to support victims of child abuse. 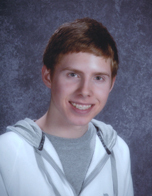 Eric Hansen 16, of Cedar Rapids, is a junior at Kennedy High School and plays violin. He enjoys performing free concerts for the public with his quartet. Eric recognizes that volunteering with friends is a fun and rewarding experience. He plans to provide needed inspiration, support and lessons to a local middle school. Rebecca Herron, 18, of Cedar Rapids, is a senior at Washington High School and plays piano and cello. As a member of Orchestra Iowa Symphony School’s honors quartet HEIRS with Celia Garner-Prouty, Grace Walker and Lucy Young, she looks forward to visiting local schools to share the fun of playing classical music. Zora Hurst, 15, of North Liberty, is a sophomore at Iowa City West High School and plays bassoon. She volunteers at her church and the Iowa City Children’s Museum, and loves working with people. Zora will coordinate a concert with young musicians to send a positive reminder to her community that music makes a powerful difference in children’s lives. Bailey Johnson, 16, of Des Moines, is a junior at Lincoln High School and plays guitar and sings. She volunteers with Rock in Prevention, using music to keep kids “happy, healthy, and drug-free.” Bailey and Monica will bring youth music and arts groups together to host a multi-community benefit concert to support child abuse prevention efforts. Iman Kashmola, 16, of Cedar Rapids, is a junior at Kennedy High School and plays the viola in a quartet with Christina, Eric, and Kyle. She’s an active member of Key Club and Meals on Wheels, and loves giving back to less fortunante members of her community. She is looking forward to volunteering through her music. Christina Ling, 17, of Cedar Rapids, is a senior at Kennedy High School and plays violin in a quartet with Eric, Kyle, and Iman. 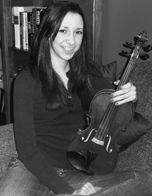 She loves setting a positive example for children through volunteer work because despite past musical frustrations, Christina has persevered with the violin. China Mauck, 17, of Des Moines, is a junior at Roosevelt High School and plays percussion. 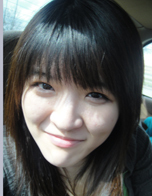 She’ll use her community service experience to encourage middle school students, especially girls, to play percussion. China hopes that when she leaves high school there will be new, eager percussionists to fill the void left by those graduating. Anjali Misra, 13, of Cedar Rapids, is a freshman at Washington High School and plays violin and saxophone. She says, “a true community service hero may or may not be recognized, but continues to embody the characteristics of integrity and selflessness and generosity.” Anji will work towards this by using her passion for music. 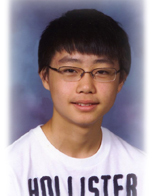 Jonathan Ni, 14, of Iowa City, is a freshman at West High School and plays piano. He has done various performances, including in retirement homes, where he realized that there are many music lovers who aren’t able to attend concerts. Jonathan hopes to bring music to those who cannot easily attend performances. Riko Ohashi, 17, of Iowa City, is a junior at Iowa City West High School and plays viola and sings. She volunteers at U-Iowa’s Medical Image Perception Laboratory, with a woman who’s volunteered there for over 40 years. This woman, in her 80s, inspired Riko to consider a different perspective and commitment to serving one’s community. 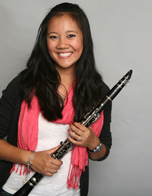 Amanda Phan, 17, of Bettendorf, is a senior at Pleasant Valley High School and plays piano and clarinet. She volunteers with a variety of organizations including her local hospital and X-Stream Clean Up, a movement to clean the Mississippi River. 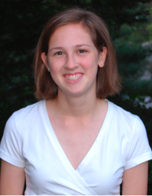 Amanda will combine her interests in music, service, and health to raise money for clean water. Grace Walker, 18, of Marion, is a senior at Washington High School and plays violin. 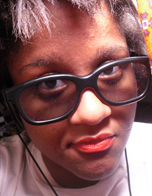 She shares her music at nursing homes and gives music lessons to students. Grace aims to gain a better understanding of how music can be used for outreach and how to share the joy she finds through performing. 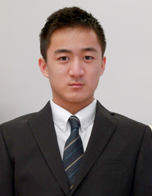 Ivan Ye, 16, of Coralville, is a sophomore at Iowa City West High School and plays violin and piano. He believes strongly that through perseverance and determination, big change is possible. Ivan will partner with Jonathan, Riko and David to coordinate a large fundraising concert in their hometown. 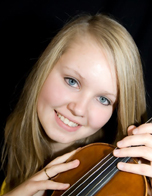 Lucy Young, 17, of Marion, is a senior at Washington High School and plays violin and viola. Lucy is looking forward to inspiring younger students to pick up an instrument and persist in lessons because she wants more children to experience the happiness that accompanies music making. 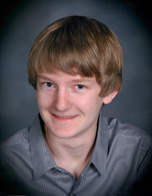 Thomas Burrill, 15, of Coralville, is a freshman at Iowa City West High School. Thomas, a pianist, is collaborating with Linda Xiong (below) to organize a large benefit concert to raise money for Alzheimer’s research. The concert will be held May 21st in Iowa City’s beautiful Englert Theater. The local music store, West Music, has kindly loaned their Steinway piano for the event. The program will include performances by both Thomas and Linda in addition to other area musicians. Hayley Graham, 17, of Cedar Rapids, is a junior at Thomas Jefferson High School. 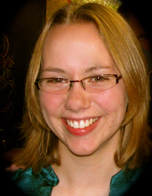 She believes providing individualized, one-on-one attention is a crucial part of getting young people excited about their instruments and inspiring them to improve. 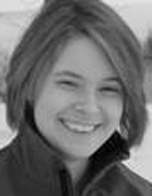 On March 31st Hayley began her weekly series of six free small-group lessons with seven regular clarinet students. DaRin Lee, 17, of Coralville, is a junior at Iowa City West High School. 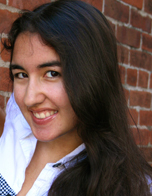 She is researching the Venezuelan music education program El Sistema in hopes of inspiring organizations in her community to encourage and promote youth participation in classical music. DaRin is exploring various ways of sharing her learning with the community such as a letter to the editor or presenting to the Iowa City School Board. 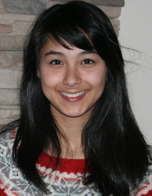 Harin Lee, 15, of Coralville, is a freshman at Iowa City West High School. Weekly he visits Emerson Point, a local retirement community to conduct and accompany both a chorus and a chimes ensemble. In addition, Harin also performs on piano and violin for residents. In early June he will organize a final concert for residents and their families to showcase the group’s musical achievements. Sal Lee, 14, of Iowa City, is a freshman at Iowa City West High School. A violinist, Sal is organizing a series of concerts at local churches to raise money for Haiti’s earthquake recovery efforts. Performers will include Sal and other high school aged musicians. Kelsey Qu, 14, of Bettendorf, is a freshman at Rivermont Collegiate. 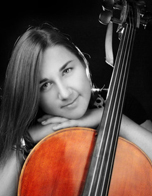 A cellist, Kelsey is performing a program she designed of Chinese repertoire at a series of concerts throughout the Quad cities. Venues range from retirement homes to community centers. Linda Xiong, 16, of Coralville, is a sophomore at Iowa City West High School. A pianist and clarinetist, Linda is working with Thomas Burrill (above) to organize a large benefit concert at the Englert Theater, a beautiful venue in Iowa City. Proceeds will go to support Alzheimer’s research. Hey love this, but where’s the links for social broadcasting. I want to share with my teacher friends and students. Hi Ms Cynthia! Thanks for visiting! Our Share Button is now live, come on back and use it! It’s very cool that these young adults are giving their music back to their community. Best wishes for all for successful college and professional careers!